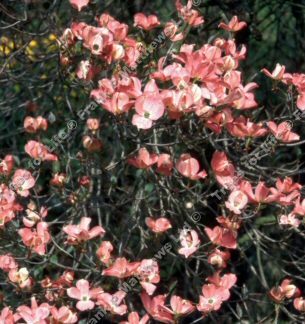 A generic name for various red and pink bract forms, The Rubra or Red North American Flowering Dogwood tree is a charming round-headed shrub or small tree. Its flowers are a range of pretyy pinks and reds with similar autumn colours to C. florida. A small height tree/shrub, so expect a height of up to 4 metres (13 foot) after 10 years. This tree is supplied at a height of between 150 - 200cm in a 7 - 12 litre container for year round planting and better results than from either bare-root or rootballed stock.